The Charity Commission has opened a statutory inquiry into Chabad Lubavitch UK, registered charity number 227638. On 31 July 2017 the Charity Commission, the independent regulator of charities in England and Wales, opened a new investigation into Chabad Lubavitch UK. The charity’s objects are the advancement and promotion of the Jewish religion and Jewish education. The charity’s last reported income was £8,749,623. The charity has failed to meet its legal obligation to file its annual accounting information to the Commission for the financial year ending 31 December 2015, which was due to be filed by 31 October 2016. Consequently the charity has now persistently failed to file its accounting documents on time for 5 consecutive years – filing at least 300 days late for the past 4 years - and the trustee has demonstrated a repeated pattern of behaviour and continuing evidence of mismanagement in the administration of the charity. The Commission has issued an order under section 84 of the Charities Act 2011 directing the charity to submit the outstanding accounting information. It has also directed the charity to undertake a review, and implement changes to ensure that the charity fully complies with its legal obligations in the future for the preparation and submission of annual accounts and returns. It is the Commission’s policy, after it has concluded an inquiry, to publish a report detailing what issues the inquiry looked at, what actions were undertaken as part of the inquiry and what the outcomes were. Reports of previous inquiries by the Commission are available on GOV.UK. The charity’s details can be viewed on the Commission’s online charity search tool. 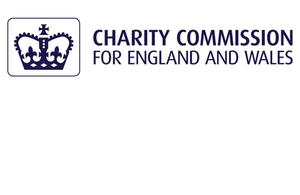 Section 46 of the Charities Act 2011 gives the Commission the power to institute inquiries. The opening of an inquiry gives the Commission access to a range of investigative, protective and remedial legal powers.